The Vietnamese Embassy and Vietnamese Association in Mozambique organised a friendship football tournament from August 19-20 to mark national celebrations. Hanoi (VNA) – The Vietnamese Embassy and Vietnamese Association in Mozambique organised a friendship football tournament from August 19-20 to mark the 72nd anniversary of the August Revolution (August 19) and National Day (September 2). 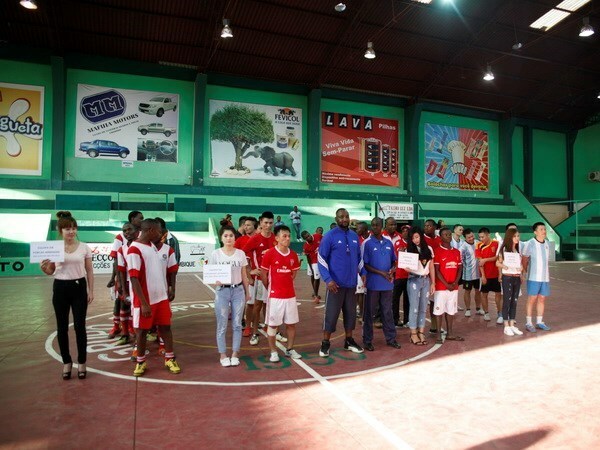 The event, the third of its kind, saw the competition of four teams from Viettel’s Movitel joint venture, Vietnamese businesses and people, Mozambican Institute for Defence Studies and Maputo police. It was organised to consolidate friendship and solidarity between the two nations while promoting exchanges, experience sharing and connections between their people, contributing to building a strong Vietnamese community in the host country. Currently, there are 300 Vietnamese people living and working in Mozambique, most of whom are employees of the military-run group Viettel working for its joint venture Movitel, businessmen and guest workers. There is an increasing number of Vietnamese people in the African country as more businesses have been interested in this potential market after partial conflicts halted in some localities.